Our services vary from week to week. A normal Sunday service includes singing, times of stillness and reflection, and a sermon or other message We have a diverse and talented choir that presents both traditional and secular music. Although they do not sing every Sunday, we often have some sort of special musical treat. Our children and youth join the congregation are with us in worship for the first part of the service before going to their classes. Life at TUUC is casual. Most folks dress for personal comfort, but some do dress up. Children are encouraged to wear clothes that allow them to be active. 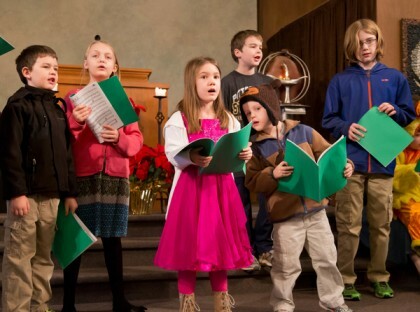 From time to time, worships incorporate holiday celebrations, whole church services, longer musical performances, child dedications, and coming-of-age ceremonies. We offer childcare and an excellent religious explorations program for children and youth during the Sunday service. Our ushers will provide assisted listening devices and large print hymnals upon request.